Occupying the eastern portion of the lush island of Hispaniola, the Dominican Republic offers a vibrant travel destination whose endless charms bring the island’s admirers back to vacation time and again. The flawless beaches and sparkling cobalt waters of the Dominican Republic are nature’s gift to visitors on vacation. And whether your vacation includes enjoying the unspoiled beauty of the Dominican Republic from a sailboat, surfboard or horseback, you’ll be enthralled with the beauty of your vacation experience. There’s plenty to explore while on vacation on the charismatic island of the Dominican Republic, where old world flavors and long-standing colonial traditions rest side by side with the contemporary rhythms of the Caribbean. And for the truly inspired, be certain to take in a baseball game - the national passion of Dominican Republic. 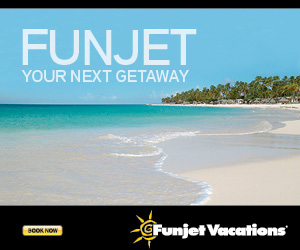 Come to Puerto Plata for an escape. The reality is that there aren’t many places left in the Caribbean where you can really get away. That’s what makes Puerto Plata all the more special. Tucked away on the north coast of the Dominican Republic, the ‘Silver Port’ region packs in all those Caribbean dreams. Think beach nightlife in lively towns, spectacular hiking and mountain biking, and - of course - miles and miles of that famous Caribbean sand. Best of all, Puerto Plata is one of the few places where you can escape the tourist hordes while still enjoying world-class tourism infrastructure - all for a price that’s significantly lower than you think. Sound tempting? It is.